A lumbar spine cyst, often in the form of what’s referred to as a synovial cyst, is a rare source of back pain. It’s a benign condition linked to spinal stenosis in the lower spine. Spinal stenosis itself is a narrowing of the open spaces within the spine. The cyst, a fluid-filled sac, sometimes creates added pressure in this narrow space that presses on nerves. What Causes a Lumbar Cyst? Decompression: Pressure on nerves is relieved and the cyst is removed, although it may re-form later since conditions that caused it to form will remain. 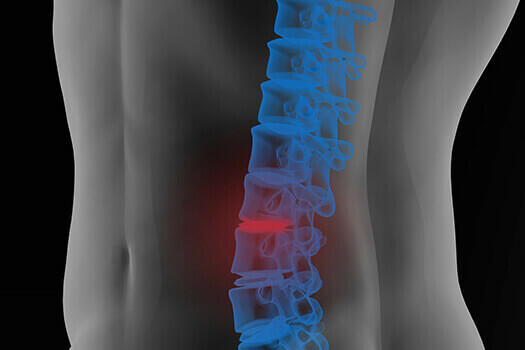 Decompression with Spine Fusion: The cyst is removed and the unstable part of the spine is fused; the cyst isn’t likely to re-form after stabilization. While a lumbar spine cyst isn’t a common cause of back pain, it is a source worth considering when other possible sources of discomfort have been eliminated. It’s also a condition that can be easily identified through image testing, often allowing for more effective treatments. Learn more about treatment options for back pain by call The Spine Institute in Los Angeles at (310) 828-7757. Our experienced team can diagnose your back pain and help you rediscover a pain-free lifestyle.